Sheri has devoted her career to representing clients in consumer protection, fraud, breach of contract, real estate litigation, and other business disputes. Sheri represents clients both individually and in class actions. She is currently litigating consumer protection class actions against major financial institutions, telecommunications providers, and unaccredited vocational schools who have allegedly defrauded their students out of thousands in tuition. With offices in San Jose, California, Sheri represents clients in California and throughout the country in federal court. In 2013, Sheri was named a Northern California Rising Star, an honor given to the top 2.5 percent of attorneys in Northern California 40 and under or in practice for ten years or less. Sheri's peers have selected her to serve in several leadership positions. She served as the Chair of the Ethics & Professionalism Committee, American Bar Association, Young Lawyers Division in 2009 and 2010. She served as Chair of the Solo & Small Firm Section, Santa Clara County Bar Association in 2009-2010. She served on the Executive Committee of the Solo & Small Firm Section, Santa Clara County Bar Association in 2008-2010. In 2008-2009, she served as the Vice Chair, Solo & Small Firm Section, Bar Association of San Francisco, Barristers Club. In 2008-2009 she was the Vice Chair, Solo and Small Firm Committee of the Young Lawyers Division, American Bar Association. And in 2008-2009 she was on the Editorial Board of The Young Lawyer, American Bar Association, Young Lawyers Division. Sheri earned her law degree from the University of California, Hastings College of the Law, and her Bachelor’s degree in Philosophy from the University of California, Berkeley. At Berkeley, she was a member of the speech and debate team. At Hastings, she was the Executive Editor of the Hastings Women’s Law Journal, and served as a judicial extern to the Honorable James R. Lambden of the California Court of Appeal, First Appellate District. 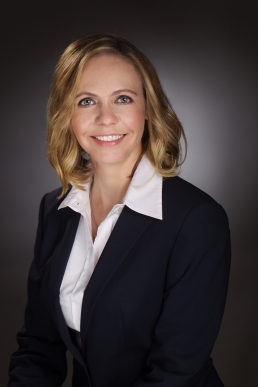 Sheri previously practiced law at Cotchett, Pitre & McCarthy, and Girard Gibbs LLP. Sheri is licensed to practice before all California State Courts, the Ninth Circuit Court of Appeals, the Northern, Central, Eastern and Southern District Courts of California, and the Eastern and Western District of Arkansas. Sheri has lived in the Bay Area for about 20 years.